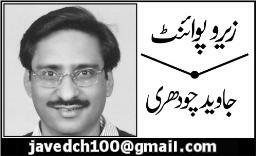 Excellent article by Javed Chaudhry sab, this is what which is required to guide our young generation. Our young generation is fed up of this political drama. Aik ata hai aik jata but no one cared for Pakistan or Pakistani people. Many of you who have traveled abroad they must have experienced such ignorance which happens to All Pakistanis everyday. We are always called for extra scrutiny on air ports we are always doubled checked. I have traveled Japan, few days back I heard news that Japanese government have been putting extra checks and spy on Pakistanis and Muslims. This is very sad, Yes as Javed Chaudhry suggested first we have to change our image first. He should promote our heroes like Abdul Satar Eidhi, Ali Moin etc. Pakistanis are always talented we just need a little support from our government and we can get back our status in the world Insha Allah.